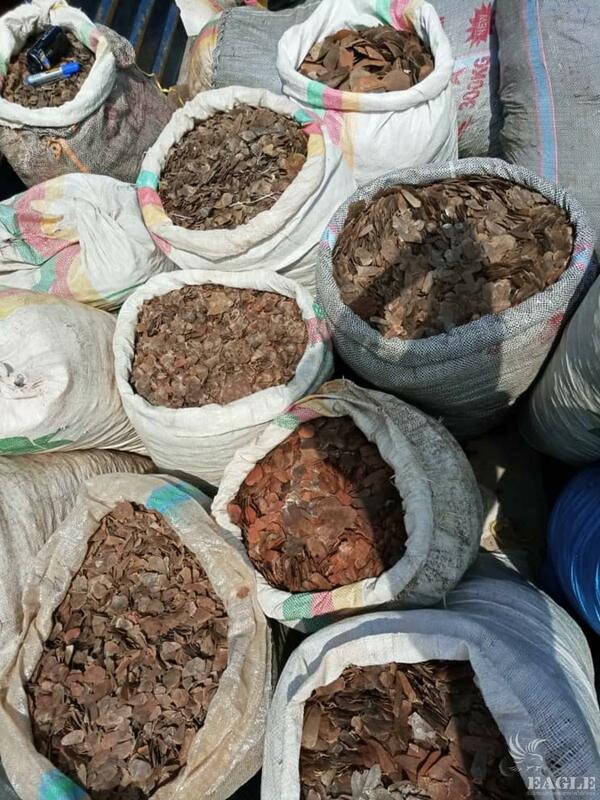 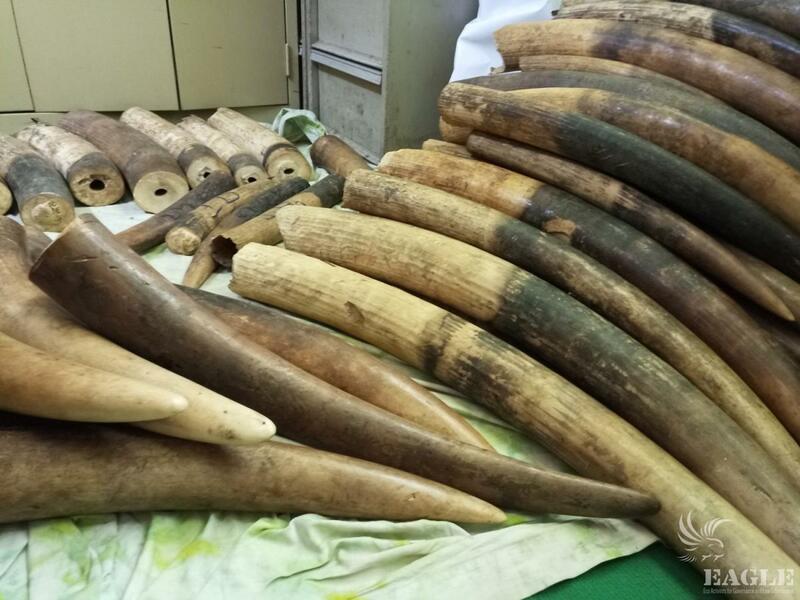 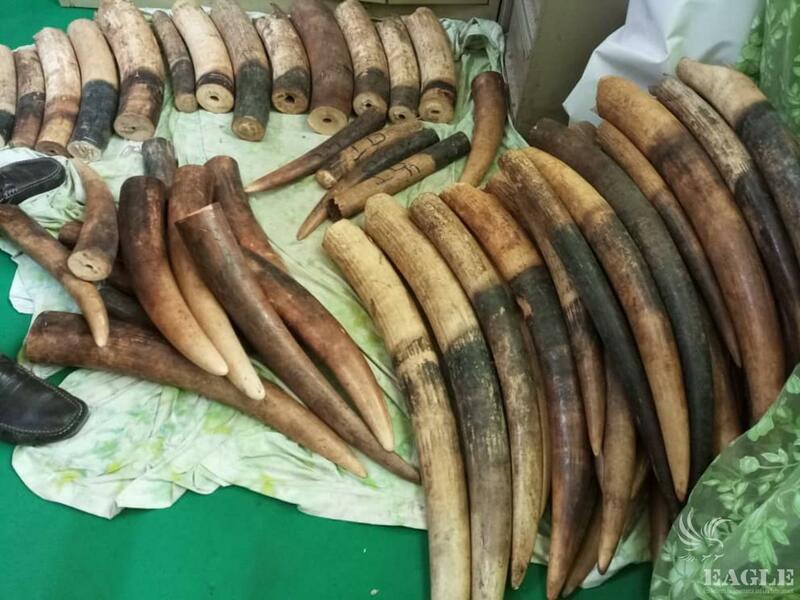 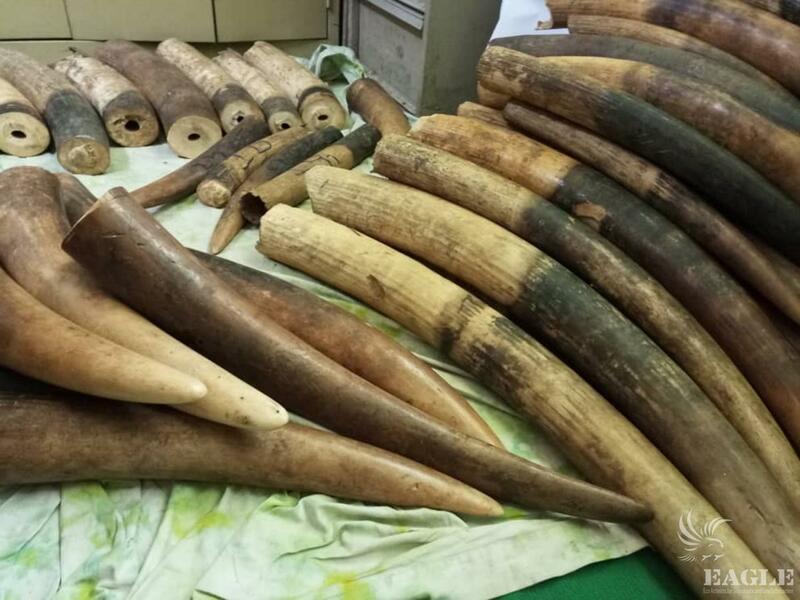 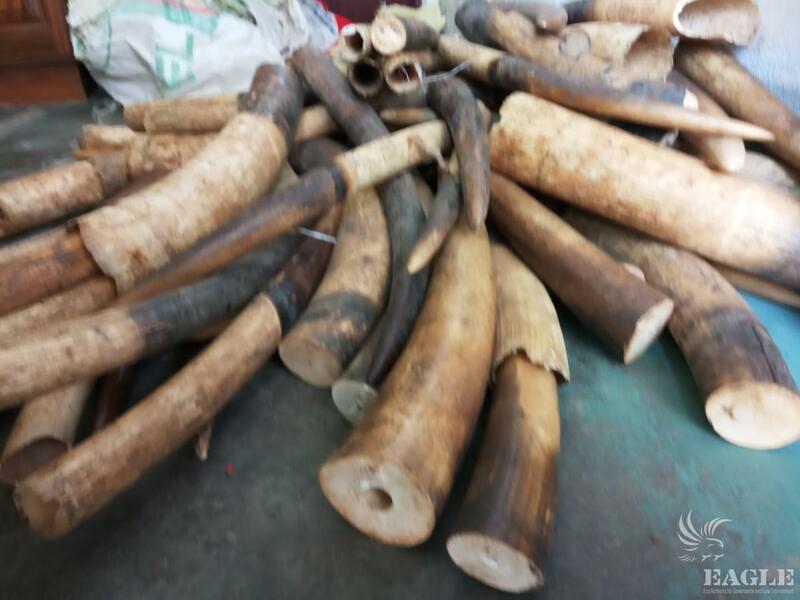 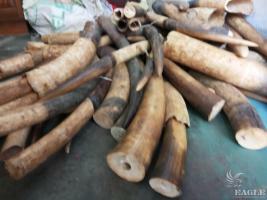 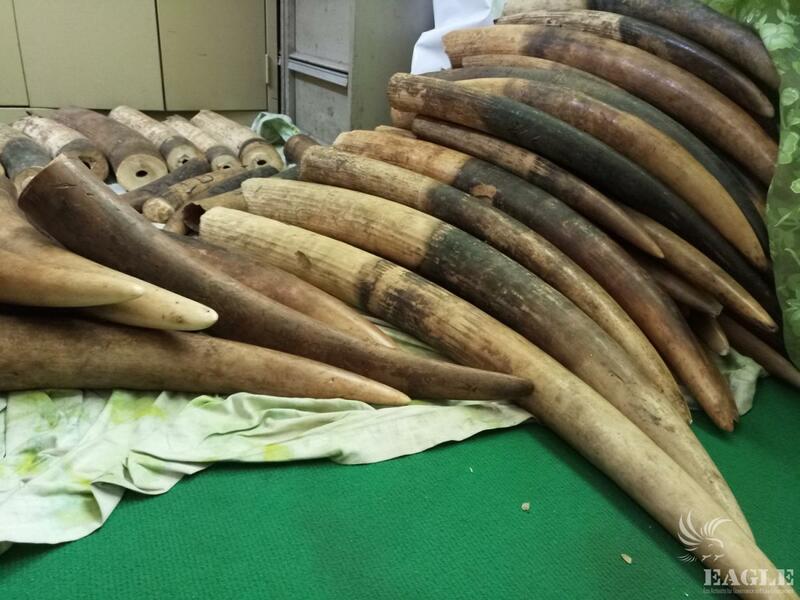 On Thursday 14 March 2019 four Cameroonian traffickers have been arrested in a crackdown operation in Douala, with 1.7 tons of pangolin scales and 300 kg of ivory. 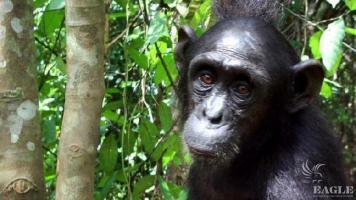 They are members of a well-organized syndicate, operating across Africa for years. 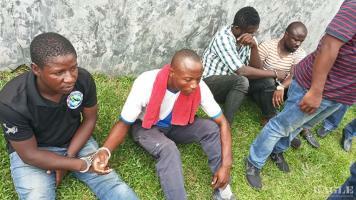 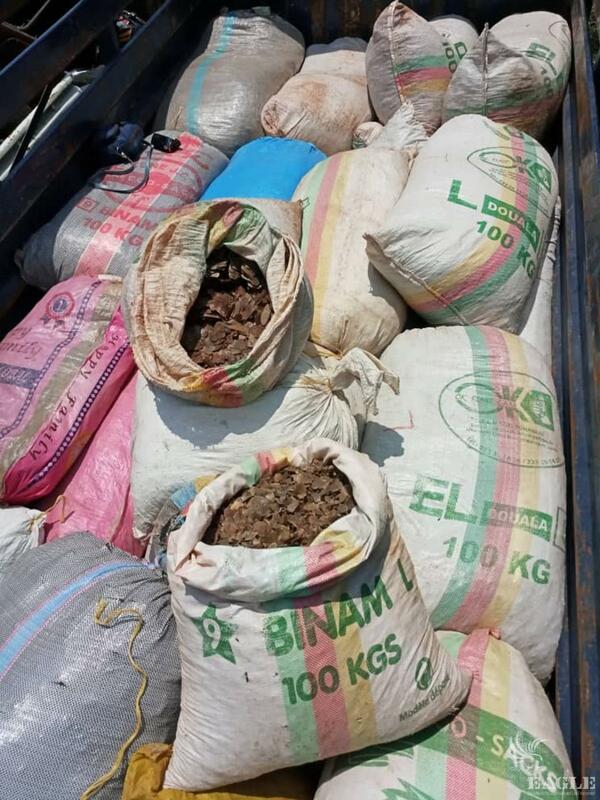 They were taken by surprise after they carried the pangolin scales and ivory to the place of transaction in two vans. 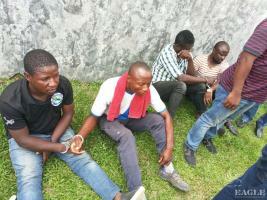 The cars stopped on a silent and peaceful road in a residential area of Douala, the traffickers ready to do the transaction. 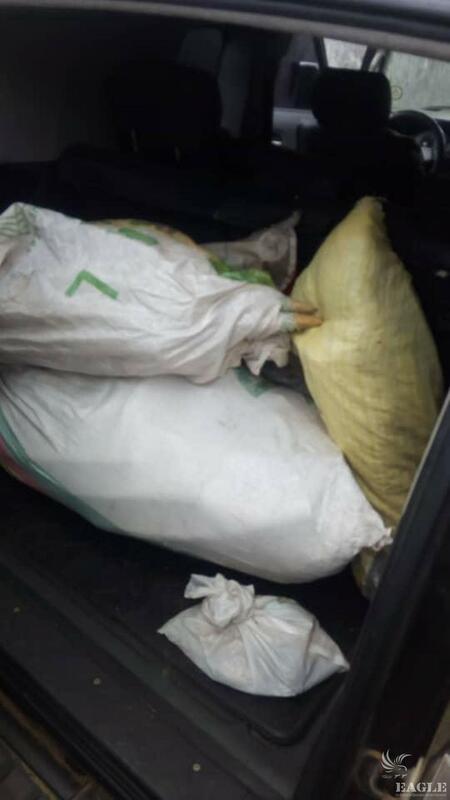 Suddenly the forces of law blocked both ends of the road and within seconds all four were handcuffed and arrested in a swift arrest operation. 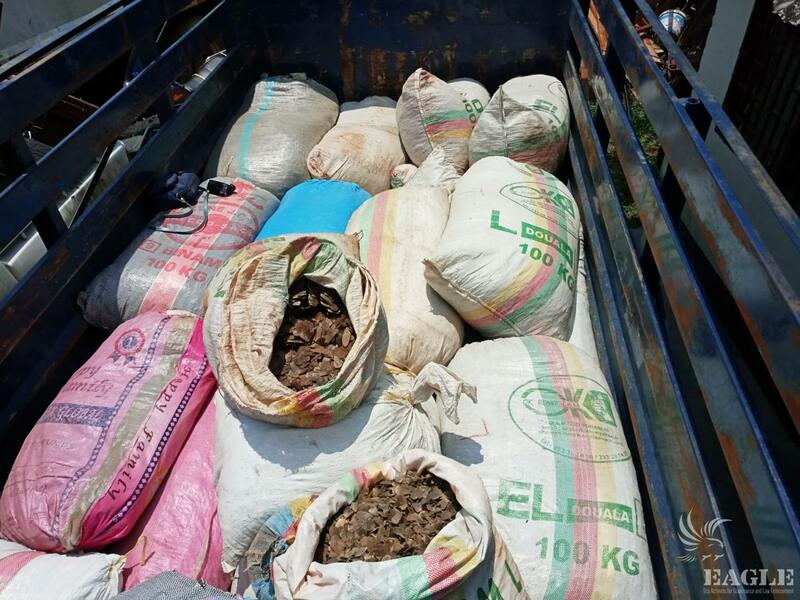 LAGA has been working on this arrest following a long-term high level investigation, and collaborating with the Cameroon authorities. 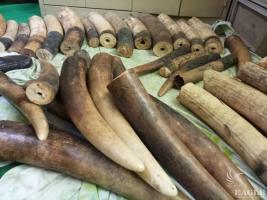 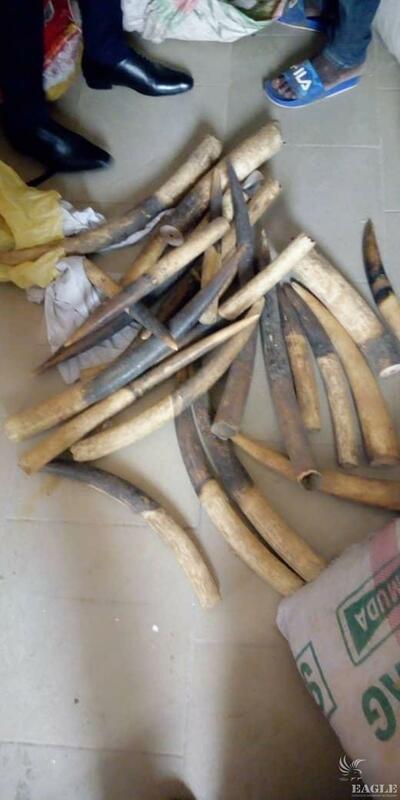 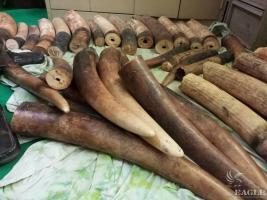 The organized ring has been collecting ivory and pangolin scales in large amount in South and East regions of Cameroon, stocking them in a house in Douala, which was in a construction with nobody living around. Then they were delivering the contraband to Nigeria. 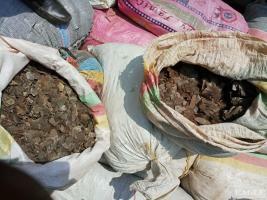 The contraband then continued to Asia, which is the biggest source of demand for pangolin scales and ivory. 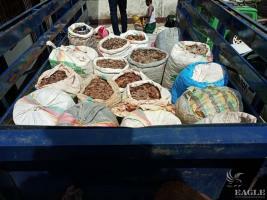 EAGLE Network has identified more cases where this pattern of trafficking repeats – pangolin scales or ivory originating from central Africa, Cameroon being the hub for collecting them, and then send to Nigeria, from where it is easier to ship them to Asia, due to poor law enforcement in the country. In August 2018 six traffickers were arrested in Douala due to LAGA work with more than 700 kg pangolin scales in a crackdown on an international syndicate dealing also in rhino horns and lion parts. The exposed modus operandi of the syndicate consisted of buying the scales from smaller traffickers in Cameroon, Central African Republic and the Democratic Republic of Congo and exporting them to Nigeria via Cameroon. 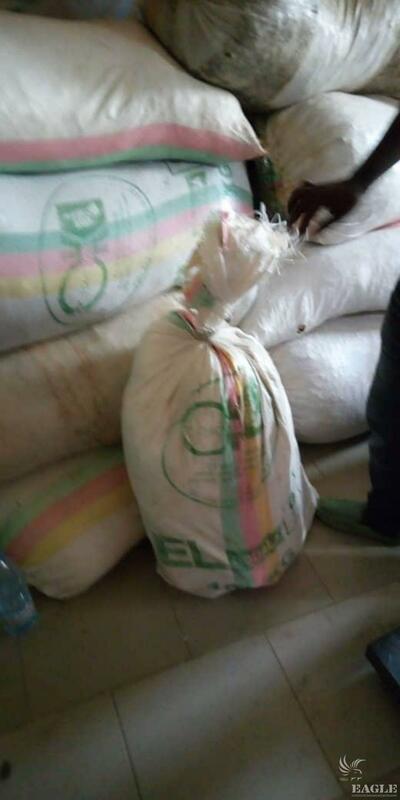 When the scales arrived in Nigeria, they were assembled for illegal export. 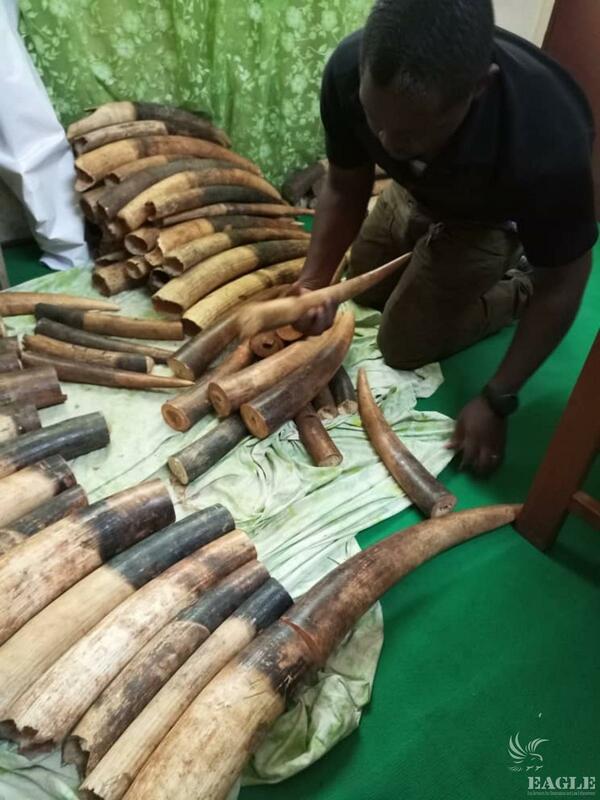 The US consul in Douala accompanied by Jonathan Baas, US Embassy diplomat based in Yaoundé, visited the Divisional Delegation of Forestry and Wildlife to see for themselves the huge quantities of wildlife products seized and to congratulate the authorities to their success in fighting wildlife crime. 1.7 tons of pangolin scales represent between 1,700 and 3,400 killed pangolins, depending on the species. 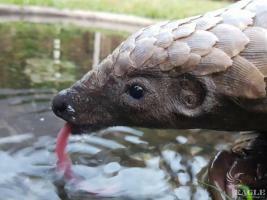 And yet this is still only a fracture of all the massacred pangolins. Pangolins are the most trafficked animals of the world, we estimate that between 0.4 and 2.7 million pangolins are hunted every year in central African forests.